When typewriters and computer keyboards became ubiquitous, the science of ergonomics boomed, ultimately leading to the creation of adjustable keyboard trays and ergonomic keyboards, ergonomic mice, monitor arms, and chairs, and various other accessories to accommodate all our different shapes and sizes. 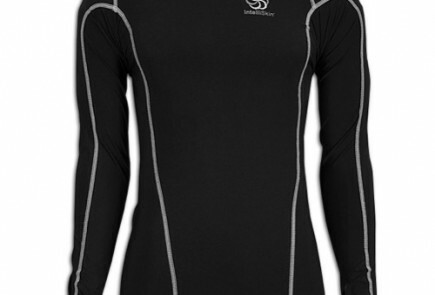 Simply stated, ergonomic design takes into account all the anthropometric differences between individuals. The word ergonomics comes from two Greek words: ERGO, meaning work, and NOMOS, meaning laws. At work, at school, or at home, when products don’t fit the user correctly, the result can be discomfort, loss in productivity, and potential injury from muscular stress. Knowing how the study of anthropometry, posture, repetitive motion, and workspace design affects the user is critical to proper ergonomic design. Unfortunately, there is no government body out there regulating the use of the term “ergonomic,” and so we see a wide gamut of product designs in the marketplace, including many that claim to be ergonomic but are clearly very poorly designed from an ergonomic standpoint. The trouble is that everything the ergonomic office products industry knows, was learned from studying people using a typewriter or computer in a seated position, either in an arm chair or an armless chair—but not standing, and certainly not walking. 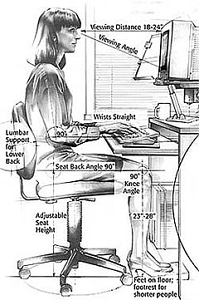 Even the Wikipedia entry for anthropometry includes a 1970’s depiction of a seated computer user. Based on our regular encounters with occupational ergonomists and ergonomic product designers, it’s fair to say that many, if not most, of those working in the field today did not receive any formal training on the vast differences between working at a keyboard in a seated versus standing or walking modality. And because first generation treadmill desks such as the Steelcase Walkstation and Lifespan treadmill desks (and even recent knock-offs like InMovement, NordicTrack and ProForm treadmill desks) have horrible ergonomic designs, many ergonomists today shun them outright. Honestly, we can’t blame them. One thing we can guarantee is that no ergonomists were involved in the designs of these glorified running treadmills with a desk surface slapped on. Most occupational ergonomists are not even aware that new designs like iMovR’s Omega desks—with their built-in SteadyType keyboard trays—even exist. Companies like iMovR are shedding light on nearly a decade of ignorance regarding the ergonomic requirements of working in a standing or walking modality. At the most recent National Ergonomics Expo, we were surprised to see that so many business cards from ergonomists still use graphics that depict completely incorrect ergonomics for standing desk users. None, of course, had graphics of walking desk users, much less ones working in a correct ergonomic posture. It’s going to take a few more years before the schools that educate and certify ergonomists even develop the proper training materials. Eventually, at least new graduates will become educated on the differences between seated ergonomics—where keyboard trays have a maximum -15° tilt—and standing or walking ergonomics—where more “neutral” positions of -25° to -40° keyboard tilts make an enormous difference in typing productivity, accuracy, speed, comfort, and injury prevention. For this reason, WorkWhileWalking has started to partner with some ergonomics certification providers to expand their knowledge of the domain and incorporate these new concepts into their training materials. In the meantime, if you have any questions about the proper ergonomic setup for a standing desk or treadmill desk, please don’t hesitate to give us a call or send us an email. Our on-staff ergonomic advisers have years of experience with these products to draw upon in getting you properly equipped. insightful and of help…well done.